GANGNEUNG, South Korea - Russian forward Kirill Kaprizov has a gold medal, and soon he may have an NHL contract. 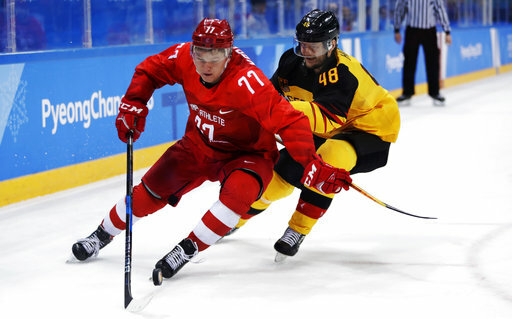 The 20-year-old Minnesota Wild prospect scored the overtime power-play winner in the gold-medal game Sunday as the Russians beat Germany 4-3 in overtime. It was his fifth goal of the tournament, and he doesn’t remember much about it. Kaprizov hasn’t ruled out leaving Russia for the NHL in the summer: "It's not the time to talk about it just now. I have a contract,” he said. That contract is with CSKA Moscow, the famed Red Army club, which has used financial support from Russia’s state oil company Rosneft to fund big-money deals with ex-NHL players like Valeri Nichushkin and Mikhail Grigorenko. Kaprizov next faces Kontinental Hockey League playoff games with CSKA, but admits it’ll be strange going back as an Olympic champion.